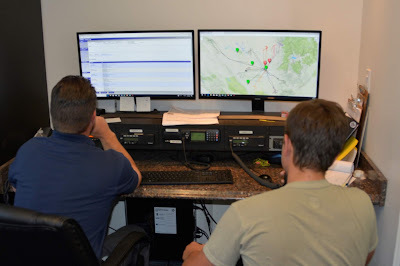 Bakersfield, California - Civil Air Patrol’s California Wing is conducting its Mission Aircrew School at Meadows Field, Bakersfield, California on July 27-29, 2018. This is the Wing’s largest aviation exercise offered annually, and we expect 18 aircraft and 90 members from Northern and Southern California to participate. 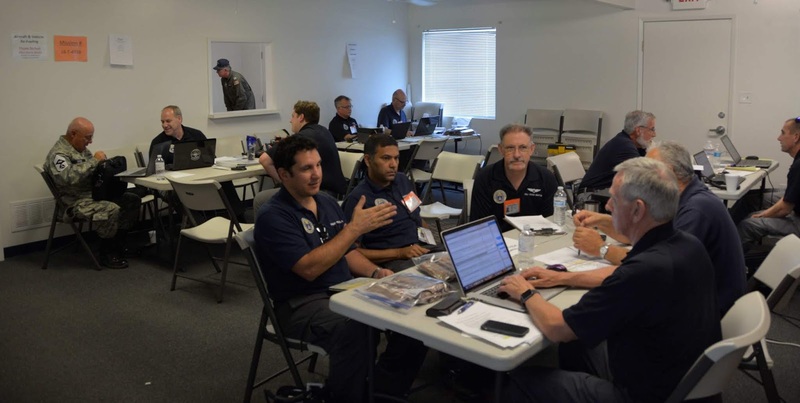 In order to maintain the highest level of proficiency mission pilots (MPs) and mission observer (MO) trainees use this training opportunity to meet rigorous training requirements to qualify in their positions and to be ready to answer the call in the event of an emergency, such as a search for an overdue aircraft, or providing photographs to state and local authorities of the damage caused by natural disasters such as wildfires. Additionally, base staff and ground team members will use this exercise to hone their emergency services skills and obtain further training. On the first day of the exercise, there were 13 aircraft launched and supported by 4 ground teams comprised of cadets and senior CAP members. The aircrews and ground teams were tasked with simulating a search for an overdue aircraft. Flight line at Mission Aircrew School, Bakersfield. Aircrews practiced flying search techniques that included air to ground coordination with ground team members. The ground teams searched for emergency locator beacons, and many of them spent Friday and Saturday nights in the field. Search and rescue efforts demand careful coordination with the base staff as well. This exercise provides base staff with opportunities to hone their skills and improve their rescue coordination skills. Accomplishments by all members of aircrews, ground teams and base staff included reassigning the aircrews and ground teams to new practice areas (“grids”) to search for a practice beacon hidden within those grids. Ground teams are comprised of cadets and senior members who are specially trained to search for missing aircraft, or lost persons. Two television stations visited the event. Click here for an interview by a local ABC affiliate. And click here for a news segment from a local CBS affiliate; it has actual footage of the activity at the base. Thank you to everyone for your hard work and congratulations on a very successful training event!